Happy New Year. I hope you are ready for a new year full of fun CASology challenges. I know I am!! This week, our cue word is: FRESH. What a great cue word for the start of a new year. How about a fresh start? I always love the fresh and clean smell of newly washed laundry, although I don't always love the folding and putting away part. Now it's your turn. How does FRESH inspire you? I hope you play along this week. Please head on over to the CASology blog and gather some inspiration from our Guest Designer Ishani and the CASology design team. What a great take on the prompt Joyce! Happy happy new year to you and your family! Ha! Clealry we were on the same wavelength this week. :) Love this and must get that set off my wish list and into my craft room! Happy New Year to you, Joyce! 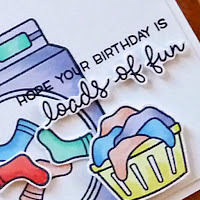 Love your fabulous card...so much fun! Happy New Year! Fresh laundry is a great way to use the word, Joyce. Does anyone hang it outdoors anymore? That's when it smells so good. Oh, I like this!! What a cute take on the cue word. Happy New Year Joyce!! So sweet! Love these images--perfect choice to illustrate fresh! Hope your New Year is off to a very fresh and happy start!! Love your card. Great detail in the words and socks popped up. Nice work! Oh how clever! Joyce your cards are a joy to look at. I love your designs and ideas. 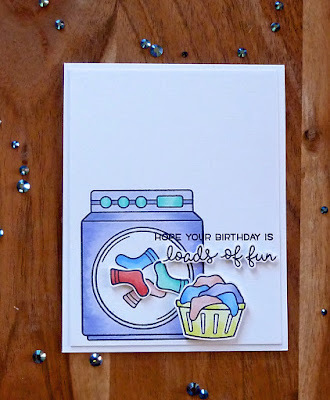 This is such a fun card! I love how you popped up the scripty part of the sentiment and the fun colours. 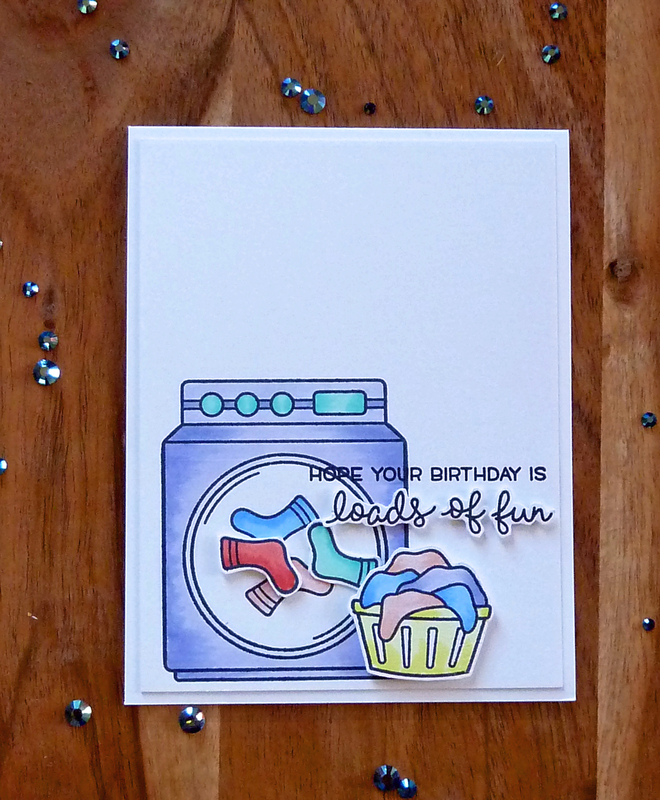 Fun card, Joyce! Love your take on the cue! Great colors & coloring! 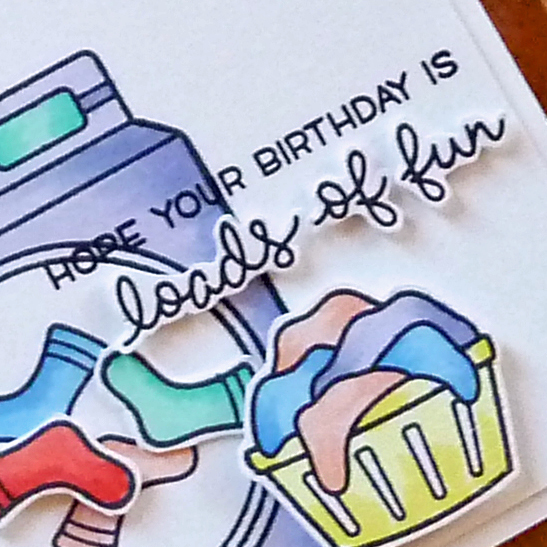 Your colouring is fantastic and that LF is one of my favourites, the purple washer is the best!